Courtesy Fin & Fur Films. Looking to enjoy the Texas outdoors from the comfort of the indoors? Look no further than the Wild Texas Film Tour, which is again rolling across the Lone Star state following its debut in 2017. 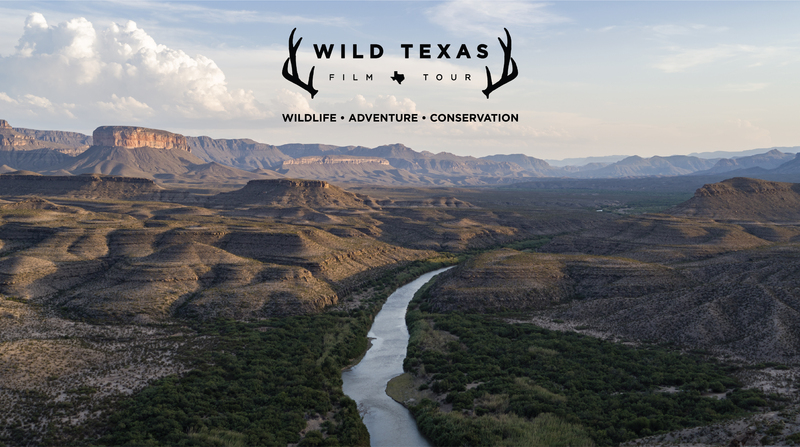 The tour showcases short films about Texas wildlife, adventure, and conservation—including the reintroduction of desert bighorn sheep to West Texas, following their elimination from the region more than half a century ago; and a journey on the Rio Grande, the state’s only federally designated wild and scenic river. Wild Texas’ upcoming stops include the Alamo Drafthouse in El Paso on Feb. 18 and three sold-out nights in Austin. Then it’s off to Houston on Feb. 26, McAllen on Feb. 28, and Corpus Christi, where the 2019 tour ends at Texas A&M University-Corpus Christi, on March 1. Between screenings, tour organizer and host Ben Masters talks with the films’ creators and characters appearing in the films. Masters, a San Angelo native, is best known for his role in the 2015 documentary Unbranded, about four recent Texas A&M graduates who adopt wild mustangs and ride them from Mexico to Canada. To see videos from Wild Texas’ 2017 tour—such as Lions of West Texas—check out Masters’ production company, Fin & Fur Films.